Summer is the least friendly season in applying your usual makeup routine. Between 43°C-50°C here in UAE and the ideal summer makeup look is one that is easy and greatly benefits your skin. At this time of the year, I usually skip some add-ons from my makeup steps and just focus on achieving fresh look in defining my features without looking over-done. Choosing the right products and colors are the key to naturally show-off your summer glow. I've been privileged to receive a box full of Living Nature beauty products from BALMESSENCE Nature-Luxe E-Boutique right after EID holidays here in UAE and I was so excited to try them out. The goal to this easy summer makeup look is to enhance the natural glow of my face while preserving healthy skin. Living Nature products are known to be gentle on skin and doesn't have synthetic preservatives or parabens. None of the ingredients are genetically modified and products are certified natural by BDIH in Germany. These are just some of the major reasons why excitement overflows in me when I received these lovely products. Here's my brief review on each products I received. "With nourishing Active Manuka Honey and hydrating Harakeke Flax Gel, this certified natural product is highly concentrated and easily absorbed, helping to reverse the aging effects of stress around your eyes." "A darker shade with pink base tones, consists of pure minerals to provide flawless coverage. Natural oils and vitamins nourish the skin while Manuka Oil protects it." First of all, make sure you shake the product very well before using it, otherwise you get a watery oil that runs everywhere. This liquid foundation has a thin but creamy consistency. It has this nutty smell that is very nice and natural. It goes on so smoothly, looks natural and gives a lovely glow on the skin. 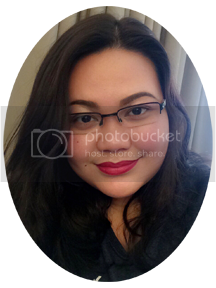 This is best for people like me who love their foundation in matte, light and natural-looking. It gives a light coverage, which is perfect for everyday use. The shade I have, Pure Beige, just matches my fair skin. "Natural mineral color for your face and body for a radiant sun kissed complexion. Can be worn alone, or over foundation or tinted moisturizer. Fragrance-free." It’s all about the bronzer for this summer makeup look. And to get that sunkissed natural looking glimmer, Living Nature Summer Bronze pressed powder is the perfect product. This bronzer is for sure my favorite of the six products I tried. I now use this daily and will definitely continue to use this. I really like that it has a good quality, generously sized mirror and a brush, so it is perfect for on-the-go makeup kit. "Add a soft flush of mineral colour to define the cheek area and enhance facial contours, for a healthy radiant complexion. Warm Summer is pink tones." This blush is in peachy-pink tone which is best for summer. It gives a natural rosy blush and a pretty radiant on my cheeks. It blends beautifully into the skin and looks very natural. It also included a travel sized brush. "Create stunning, not-to-miss eyes with this fragrance free mascara. Halloysite clay thickens lashes for impact without clumps or chemicals. Suitable for sensitive eyes." This mascara gives nice length and separation to my lashes. Although, it doesn't really give the dramatic thickening effect, it is very recommendable for a daily natural-looking use. Another thing I personally love about this, since it's all natural, it is very gentle on my sensitive eyes. It last all day and stays smudge-free on a humid day. "A medium toned orange color with rich burnt undertones. Natural pigments and nourishing waxes ensure smooth application, fabulous wear and a gorgeous natural smile." I was a little skeptical with the color at first, however, when I put it on, it was indeed lovely and just perfect for a fresh looking makeup. This is a shade that would look different on everybody depending on your lip color. I like to put a bit of foundation over my lips first so that they are completely neutral before using. It's super moisturizing and goes on really smoothly too. I truly love and enjoyed the products I got! The packaging are very stylish and sleek. Aside from its all-natural ingredients, the quality exceeded my expectations. I was thinking which one is my favorite, but then ended up realizing that I love them all. So I guess I'll just pick my top 4 favorites but not in particular order. One of my personal favorites is the liquid foundation. It is very light, has fine texture and enhance my skin's natural glow. I also love the eye firming cream. It gives an almost instant soothing effect on my tired-looking under eyes. The mascara, although it says for thickening, which I personally didn't get from it, I still love it because of the length it gives and it doesn't irritate my eyes at all. And lastly, the bronzer which I am using now in replacement of my other favorite brand. It gives a nice shimmer blend on my cheeks and perfect for natural contouring. While the blush and lipstick are pretty nice as well, but since I don't regularly put on blusher; and the lipstick, although very smooth and moisturizing, I still prefer matte; that is why these two are my least favorites. Living Nature products are best for sensitive skin. Its all-natural ingredients makes it really gentle on any skin type. I've been using all these products for couple of weeks now and I can surely say that it is a breath of fresh air for my skin. Although the price is a little costly compare to most drugstore beauty products, the quality and effectiveness are guaranteed excellent and award-winning. 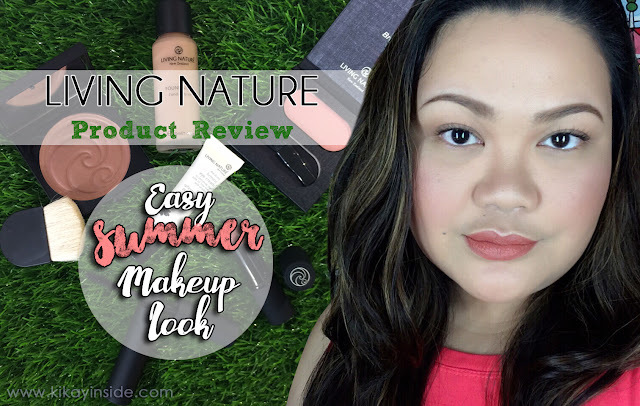 Since the demand for effective, high-quality, natural makeup and skin care is higher than ever, and very few genuine brands can offer that; we are lucky here in UAE that we can avail Living Nature products easily. I used Living Nature firming eye cream few nights ahead of this tutorial. I also put it on after cleaning my face just before I did this video. I start by putting Living Nature liquid foundation on my face using a brush then later on with a sponge to achieve even tone. Let it dry. I put on translucent loose powder for smoother finish and get rid of shine. It will also help soak up any excess oils. I applied Living Nature bronzer along the hollows of my cheeks to contour. I also used the bronzer as a light eye shadow. And I also used the bronzer to define my nose line. Brush the Living Nature blush-on sparingly up along the cheekbones. Put some more loose powder under the eye, forehead and chin. I curled my lashes, following with a coat of Living Nature mascara. I finished my look with a 'Morning Sun' shade of Living Nature lipstick. *** Disclosure: This post is in collaboration with Wellness United. My opinions are uninfluenced and remain honest at all times no matter how the products were obtained. My reviews are based on my own personal experience with the product/s itself. Please keep in mind that everyone is different and that each individual’s opinion or experience may vary. Because something works for me, it does not guarantee that it will work for you too.